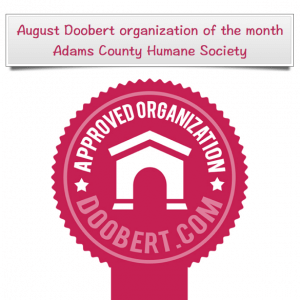 This month w e feature the Adams County Humane Society in Friendship, Wisconsin as the Doobert organization of the month. In this first video, the executive director, Christina shares their success as a small shelter funded only by donations, fundraisers and adoption fees. You will learn how they are saving dogs, cats, ferrets, rabbits and other even some other non-traditional rescue animals on a regular basis despite being in a rural area with limited resources. Learn how Doobert.com is helping them to connect with other rescues and shelters, and successfully transporting animals to them. You can donate to assist their cause by going to their webpage, http://www.adamscountyhumanesociety.org Can you help them achieve their goals by supporting them through a small donation? Christina shares more about their facility, the trails that volunteers take the dogs on for walks daily, and the efforts they make to save more animals. You will even get to see their indoor climbing tree in the cat room where the cats can romp and play and climb an actual tree indoors. Learn how you can help them continue to save those without a voice through donating your time and money to supporting their mission. YouTube Video #2 – Why do you rescue? YouTube Video #3 – What do you like about Doobert.com?